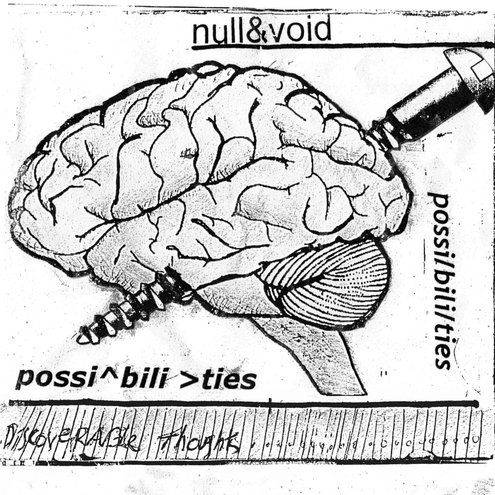 The kind souls over at Bunker Pop just unveiled their latest reissue – this one coming from the early 80s Fullerton, Ca band Null & Void. We suppose this one isn’t technically a “reissue” though since it’s never been properly released until this. The record – POSSIBILITIES – was recorded between 1981-82 as the band’s third and final LP, but US labels deemed it as too weird and experimental – leading it to a solid safe place on the shelf for the next 30 years. It’s got a bit of a synth-wave Chrome vibe to it. Maybe a little more acid though. This release comes packed with a double-sided 24″x36″ poster and plenty of inserts. If you picked up the Coitus Int. EP that Bunker Pop released previously, then you know these guys are doing things the right way. Check out the track “The Motorcycle Song” for a taste of what the record’s like. You can order it directly from them right here.